As a guitar teacher I see a lot of confusion, even among my more advanced students, when it comes to playing these types of chords. Truly knowing how to voice these chords comes from an understanding about how chord naming conventions tie into music theory. 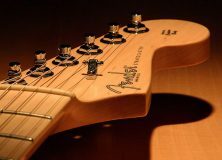 Let’s explore the subject by taking a look at the difference between add9, Maj9 and 9 chords. 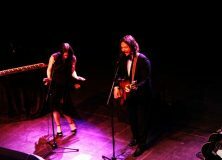 Maybe it’s tough for some musicians to see the difference between these chords because they actually have a lot in common. First off, they all have a major triad at their foundation, which contains the root, major 3rd and perfect 5th. Secondly and more obviously, they all contain the 9th. The only thing that sets these three chord types apart is the presence of the 7th: whether or not it’s used and what kind. 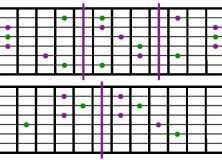 Like I said, the construction of these 9 chords starts with the major triad. Using C major as an example, the notes of the triad would be C E G (root, 3rd, 5th). 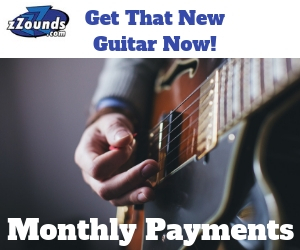 To get a Cadd9 chord you would just add the 9th (in this case D) and leave out the use of a 7th. If you think about it the chord name is actually quite literal. But why is the D considered a 9 in this case and not a 2 or sus2? It is because of the presence of the 3rd in the C major triad. As a convention, D would only be considered a 2 if the 3rd was absent. Moving on to the CMaj9, this chord has all the ingredients of the Cadd9 except it also contains the major 7th. 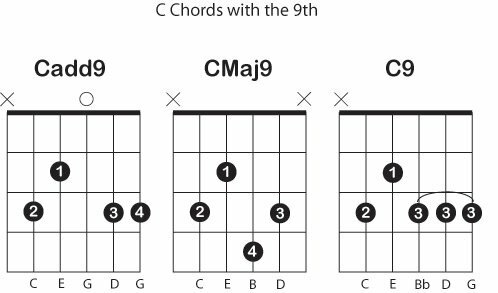 A common misconception is that the “Maj” part of CMaj9 means the chord is major. Actually, that is already assumed. The “Maj” part of the chord name is actually referring to the use of the major 7th. 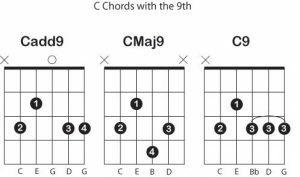 In this case the major 7th is B natural, giving us these notes for a CMaj9: C E G B D.
With the C9 chord you’re left to assume the most. Obviously it specifies the root and the use of the 9th, but by convention the musician is left to assume that the chord is major and that it contains the dominant 7 (a.k.a. flat 7 or minor 7th). So for the C9 chord, the dominant 7 is a B flat and gives us all of these notes: C E G Bb D.
Finally I should mention that you could apply the same principles here to chords that use a minor triad. The Cm(add9) would have C Eb G D. The Cm9 would have C Eb G Bb D and the less commonly used CminMaj9 would contain C Eb G B D.
Thanks for the break-down. Although I’m applying this theory to piano over guitar, all the theory is relative to all instruments. I even fell into the trap you mentioned of thinking Maj implies Major chords, while it is, in fact, implied already. I started playing some jazz songs, namely Sting’s version/vision of “It’s Probably Me” from him Ten Summoner’s Tales album. It uses a lot of complex jazz chords with these extensions, and the breakdown is invaluable. Thank you again. thank you! I’m always a bit confused about that!